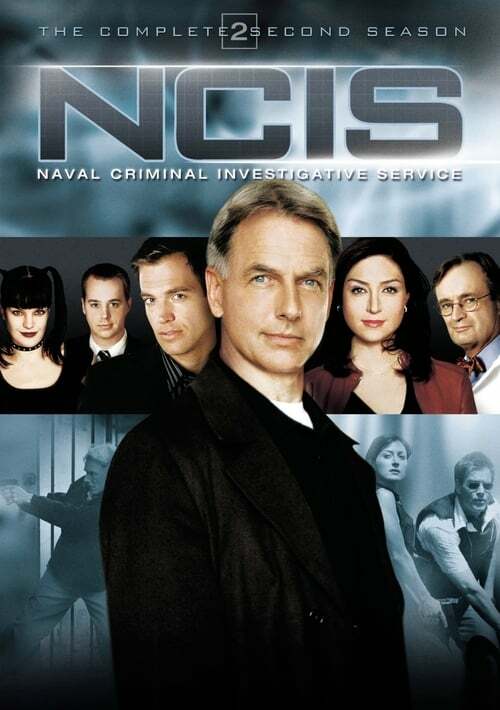 The second season of the police procedural drama NCIS was originally broadcast between September 28, 2004 and May 24, 2005, the second season shifts away from the naval setting of the show somewhat, and includes more character development than the first season. With the episode "Lt Jane Doe", the show also introduced the foofs, a black and white "preview" which was shown at the beginning of each act of that episode and has continued to be used to this day. Season 2 saw Norfolk Case Agent Timothy McGee being promoted to a full-time field agent, and transferring to NCIS HQ in Washington to work with the Major Case Response Team. Tony DiNozzo nearly died of the pneumonic plague in "SWAK" while the season finale, "Twilight", ended with a shocking and unexpected twist: Caitlin Todd was shot and killed by Ari Haswari. This is also the second and final DVD to feature Sasha Alexander who plays Caitlin Todd on the cover. Alexander left the show for good after her character, Todd was killed in the Season 2 finale. In addition, this is the first DVD cover that Sean Murray who plays Timothy McGee appears on, having become a permanent member of Gibbs' team at the end of the Season 2 opening episode, "See No Evil" which also saw Murray being added to the opening credits as well. Despite having first appeared in Season 1, Murray's appearances were very limited and during the times he appeared, he was credited as a guest star.